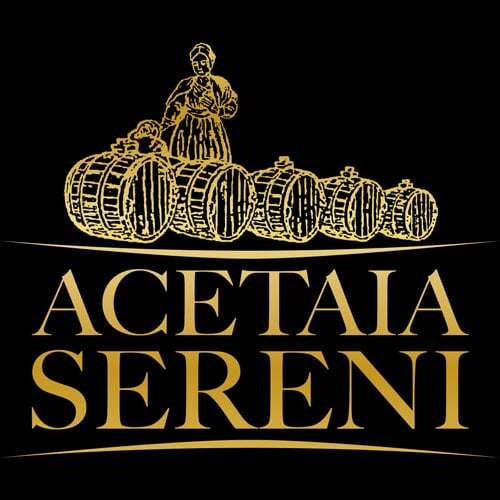 Acetaia Sereni is a leader in the production of traditional balsamic vinegar of Modena P.D.O., balsamic vinegar of Modena P.G.I. and a vast range of sweet and sour condiments. The firm is located in the village of Marano sul Panaro, set among the attractive Villabianca hills. An area free from industrial pollution, surrounded by green vineyards and olive groves. Here the sequence of weather events repeats, unchanged, the ancient process which for centuries has served as an essential support in the natural production and maturing of an extraordinary balsamic vinegar. The family began producing balsamic vinegar in the early twentieth century with Santina, who became a member of the Sereni family through marriage. A housewife, she cooked for her large family. It was very common to use balsamic vinegar as a condiment in typical Modena meals. For this reason Santina produced each year a few litres of balsamic vinegar. Santina’s son, Attilio, who sold fruit in the Valle dei Ciliegi, grew passionate about this extraordinary product and started to buy casks and deal with the family production of balsamic vinegar, in order to obtain each year a small quantity of product to give as a gift to friends, co-workers and customers. It wasn’t until 1982 that Attilio’s son, Pier Luigi, started actual sales of balsamic vinegar, to then move in the early years of the 21st century to the Villabianca estate, on the Modena hills. Nowadays Acetaia Sereni, with Pier Luigi, his wife Elisabetta and sons Umberto and Francesco, numbers more than 1500 casks in prized wood and exports the excellence of balsamic vinegar all over the world. There are also more than 1000 olive trees on the estate, from which the firm obtains a delicate and fruity extra-virgin olive oil which for the first time is once again a typical product of Modena. A farm holiday centre was added to the firm in 2012, located on top of the hill, where typical Modena dishes are served with balsamic vinegar and olive oil, typical local wines and products from the vegetable garden. Agriturismo Acetaia Sereni also has 6 comfortable rooms for a totally relaxing stay. Choose the right product for you! Our farm holiday centre, surrounded by vineyards and olive groves, was set up to offer its guests the best of the Emilia culinary tradition, combining excellent local products in the dishes on the menu. The centre also has 6 finely furnished rooms with every comfort for ensuring a totally relaxing stay for its guests. You can visit our factory with an itinerary allowing you to find out about and admire the history and method of production of Modena balsamic vinegar, from the company vineyard to the finished product, via pressing of the grapes, cooking of the must and ageing in prized wood casks. Different types of balsamic vinegar can be tried out and compared in our tasting room.